Creme Brûlée courtesy of Le Canard Enchaine. 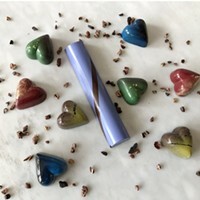 Valentine's Day is right around the corner, and while Hallmark cards, red roses, and cheap chocolates have taken center stage for most, this holiday can still be a lovely opportunity to reflect on the sweetness and small intricacies of a longterm partnership. What better way to celebrate your relationship than to press pause on the daily grind and go out on the town for a romantic date? Whether you want to enjoy a glass of Pinot Noir and a candlelit dinner, or satisfy your sweet tooth with chocolate-filled lava cake, we’ve compiled a list of romantic Hudson Valley restaurants that will reclaim February 14 as a day of deep conversation, delicious food, and a reaffirmation of love. Valentine’s Day is fast-approaching, so make your reservations at these hot spots before space runs out. The candle-lit ambience and rich dishes at Le Canard are a testament to the age-old saying that French is the language of love. The dated paintings and photographs lining the walls add vintage pizzazz to the bistro and chef-owner Jean Jacques regularly tours the room like a French Don, checking on his guests. Enjoy a piping hot bowl of French onion soup topped with melted cheese, a classic butter escargot executed to perfection, or a crispy duck with grand marnier sauce while sipping on a French wine. And if you’re not local to Kingston, consider renting out Le Canard’s AirBnb location. Fitted with Parisian style, L’Escape is a perfect place to cozy up and enjoy the night after a delectable meal, so go ahead and order that second bottle of wine. 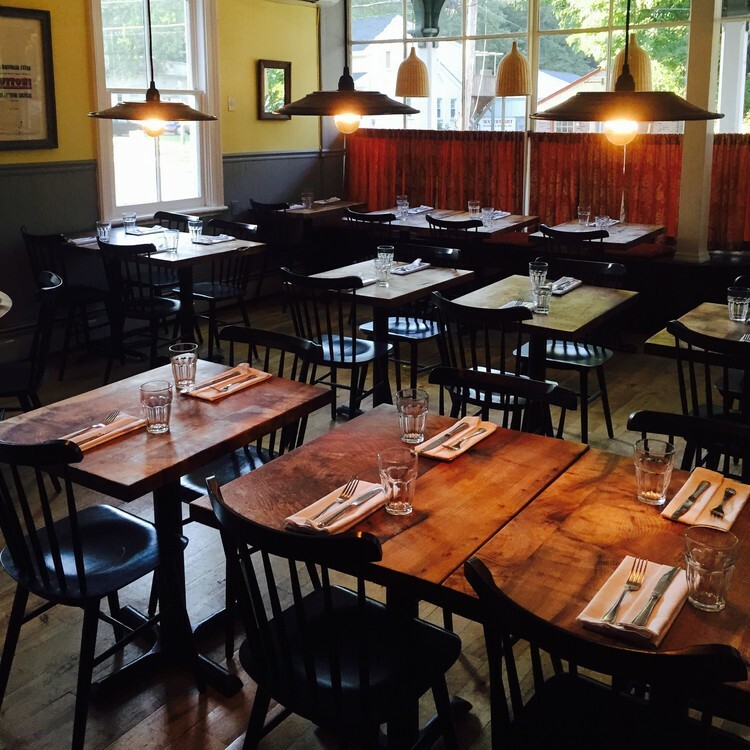 Designed a la French bistro, Brasserie 292 is a Poughkeepsie favorite. The black and white tilings, red leather booths, tin tilings and warm yellow lighting craft a vintage space, making it the perfect place to make a reservation for Valentine’s Day. Whether you choose the salmon served with roasted butternut, kale, and shiitake vinaigrette or a pork tenderloin made with bacon brussels, confit apple, and brown butter spaetzle, you can be sure that your food was made with the highest quality ingredients from a number of local New York farms. 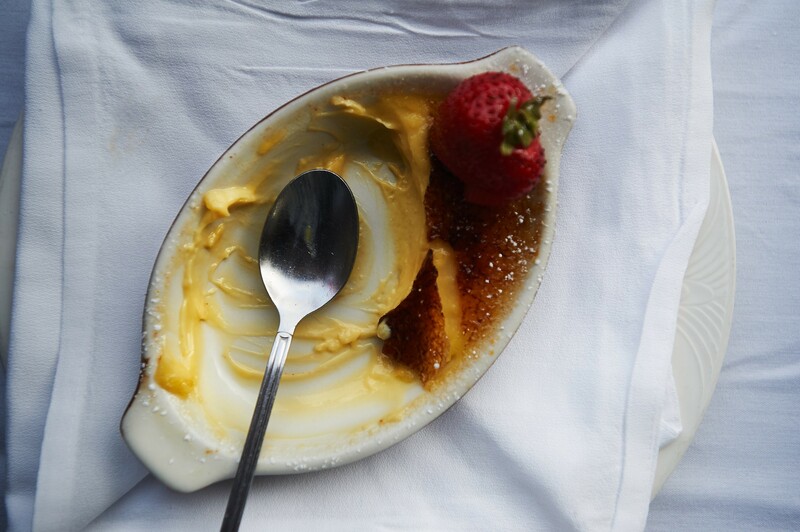 Brasserie’s dessert list will be difficult to resist with milk chocolate pot de creme and caramel gelato on the menu. Liberty Street Bistro offers New American cuisine served with French cooking techniques. 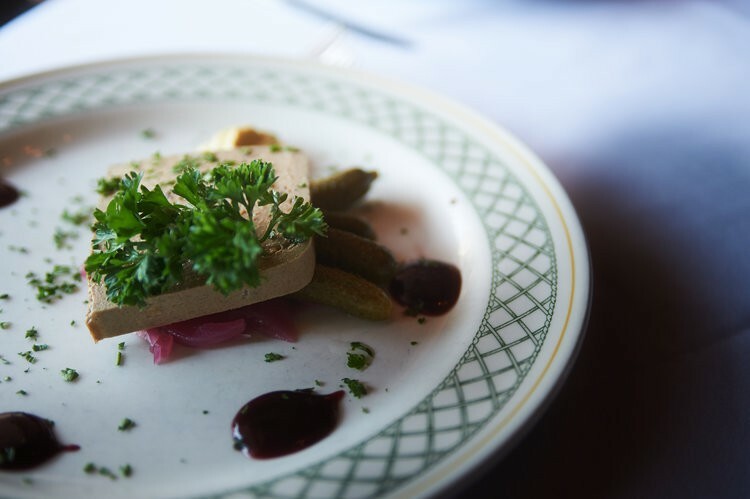 Located in Newburgh, Liberty Street Bistro’s historic home aims to combine the local produce of the Hudson Valley with contemporary French cuisine flair. Customers rave about the glazed Maine lobster, the $1 oysters, and the diverse menu of craft wine, beer and cocktails. If you’re looking to challenge your tastes, order the Fire Down Below drink, made with jalapeño-infused Tequila, Matcha tea, fresh lime, and a Matcha salt rim. 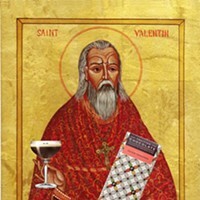 On Valentine’s Day in addition to the regular menu, the bistro will offer some special one-day-only dishes. It's Monday, Pasta night @liberty_street_bistro !! Or locally known as Carb o'clock! See you at the Bistro!! Looking to switch up your normal steak-and-wine Valentine’s Day tradition? Swoon’s far-ranging menu offers eclectic choices ranging from bacon-wrapped dates to smoked bluefish pate to swordfish conserva. The cooks pay special attention to detail, turning dishes like the tomato tart, made with fresh cheese, tomato molasses, and edible flowers, into a work of art. The exposed brick walls and black-and-white floors make Swoon a trendy, customer friendly restaurant for romantic entrees and laid back conversations. Cenàcolo is known in the Hudson Valley for its classic Tuscan cuisine made with fresh ingredients. If you are searching for that perfect Polletto al limone or Risotto alla pirata, Cenàcol is definitely the place to try. Pots and pans hang from the ceiling lending a warm farmhouse vibe, and the antipasti station at the front fills the whole restaurant with the delectable smell of olives. Cenàcolo is one of the best Italian restaurants in the region, ranking 28 on Zagat. Try the caramelized zucchini or smoked trout with a side of Tuscan bread and cream. The interior is intimate and the service personalized, making this a highly romantic spot for your special Valentine’s date. Located in the tight-knit community of Germantown, Gaskins is a great option if you are looking for an intimate space this Valentine’s Day. Fitted with hardwood floors, bench style seating, tinted lighting, and candlelit bar, Gaskins provides the customer with a cozy, modern atmosphere. Gaskins' connection to local farmers is strong—it sources from 20 farms, including Hearty Roots, Common Hands, and Montgomery Place Orchards—and this shines through in the simple fare. Try some homemade cavatelli or sea scallops and finish it off with a negroni cocktail or domaine collotte rosé for a filling, heartwarming meal. If you’re thinking cozy for your romantic Valentine’s Day date, try dinner at Cucina, located in the most famous small town of New York: Woodstock. Warm up by the indoor fireplace while sipping on sparkling champagne, or make a reservation for a group at the communal dining table. Looking to make a bold proposal this Valentine’s? The Barn, located next door to Cucina, is the perfect place to reserve for private events and celebrations. The menu is filled with options like penne puttanesca, slowly roasted salmon or caprina pizza. If you’re searching for an affordable Valentine's Day meal, reserve now to take advantage of their $49 Valentine’s Special, which offers jumbo lump crab cake, handmade stracciatella ravioli, and seafood risotto as part of the three course meal. If the first thing you think of when it comes to dining out is pasta, pasta, and more pasta, than Mercato is the place to be this Valentine’s Day. Hailing from Rome, chef-owner Francesco Buitoni is passionate about bringing the Italian cuisine to the Hudson Valley. The menu items are made entirely using local ingredients, making every meal fresh and sustainable. Mercato also offersa large, well-curated selection of Italian wines, imported from Umbria, Tuscany, and Piedmont. For dinner, a customer favorite is their sweet pomodoro gnocchi, decorated with fresh basil and fior di latte. If you want to end the night with something sweet, have a taste of Mercato’s diverse gelato flavors, like vanilla, salted caramel, or olive oil. Italian for “at the table” A Tavola’s mission is to provide customers with excellent service, creative cuisine, and an intimate ambience. The two-story space is full of nooks and private corners for an intimate evening. Candlelight warms the rustic farm tables, which can be seen twinkling from New Paltz’s main street through the buildings glass front. The fresh bread and oil will make double-dipping a necessary evil. Enjoy a large portion of “Chicken Under a Brick,” or duck liver raviolini topped with caramelized onion and radish sprouts. If you’re feeling adventurous, choose their Fish of the Day or grilled octopus. 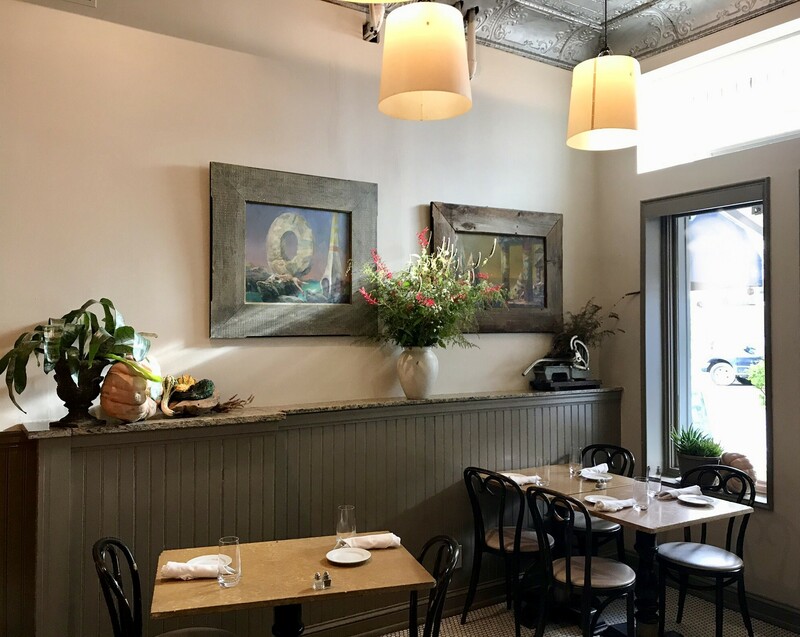 Located in the heart of New Paltz, A Tavola is the perfect spot to dine if you are hoping to cap your night with a peaceful post-dinner walk through a small, quirky town. Henry's at the Farm is an excellent date spot. Their menu takes "farm to table" more literally than most, almost exclusively serving ingredients grown on the adjacent property of their parent entity, Buttermilk Falls. Try the pan-seared duck breast with purple sweet potatoes or if you’re feeling extra daring, the mushroom and green tomato ice cream. The rich brown and burgundy wallpaper and hanging light fixtures gives the restaurant an elegant, homespun look that creates a warm, intimate space for whispering sweet nothings.